You will be receiving some information shortly… so excited for you!! Do you love t-shirts as much as I do? They are more than just an article of clothing we put on in the morning. They are an invitation into cozy-ville. They are often a reflection of our personality. They delight and entertain others. They are universal and just plain awesome. And today I have a special treat for you. 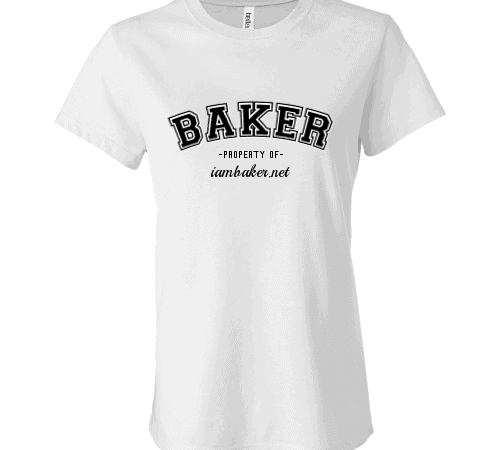 I am giving readers a chance to win your very own custom iambaker T-shirt! 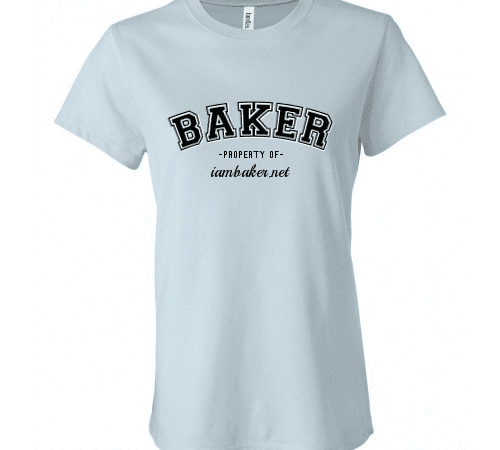 The fabulous folks at whooptee.com and I are partnering to give you (in my opinion) one of the cutest shirts around… an iambaker T-shirt! Working with whooptee.com has been awesome. Using their design tool allowed me to design my own customer T-shirt! I based the design off of my love of athletic T’s. You will also have the option of a pale blue shirt! The back will look the same as the white shirt above. Also, the pink cake logo is actually more pale (a soft pink) in real life, not a hot pink as it appears above. I just love how these turned out! 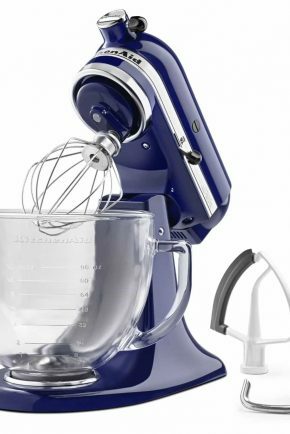 I have actually ordered one in black for my husband. I think the design is neutral enough for a guy to feel comfortable in it! At least, I hope. I know there are some very manly men in the iambaker community! With the custom t shirts design tool its very easy to go in and change the product or design. Love that! I would love to see you in one! If you are one of the lucky winners, send me a picture of you wearing your t-shirt and I will post it for all to see! 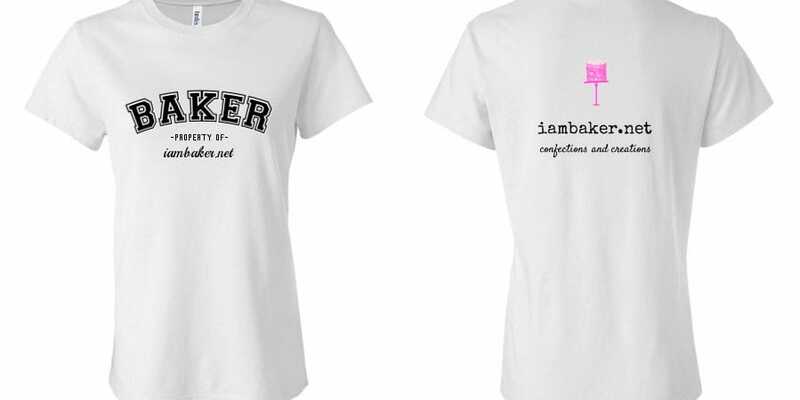 TEN lucky iambaker readers will be lucky recipients of one of these custom t-shirts! Want to know how you can win one? Subscribe to whooptee on youtube. Feel free to check out their site and design your own custom t shirts! This contest is open for one week. The approximate value of each shirt is $40. Contest is open to residents of the 48 continuous United States. You will be able to customize your shirts size and color(white or pale blue). 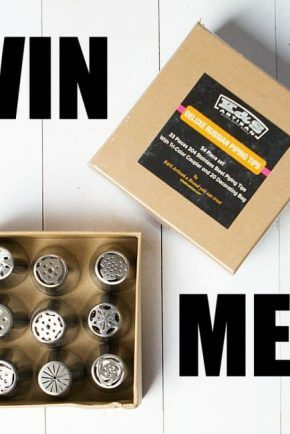 GIVEAWAY! 52-piece Russian Tips Set! I like to make the rose cake. 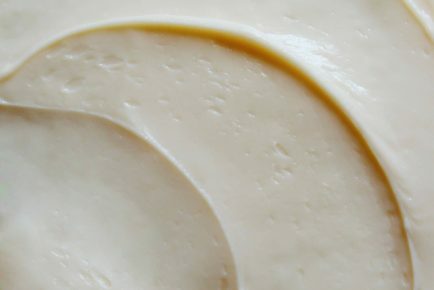 Quick, easy and BEAUTIFUL!! 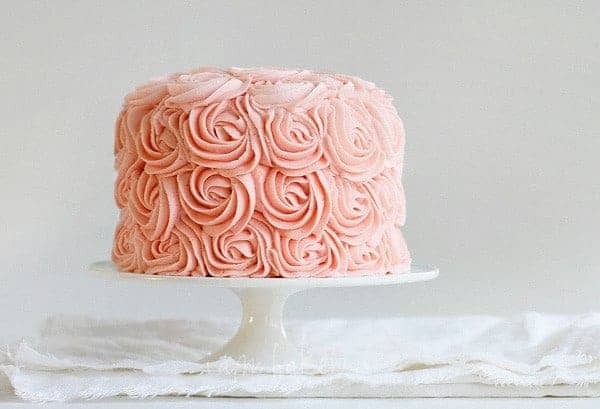 I just found your blog, so I would start with the rose cake, but since I am currently on a diet, will have to make it for a potluck or something like that. LOVE your site. I liked Whooptee on FB too. I still have yet to make your rose cake! But the Jack ‘o Lantern cake with the surprise candle inside is one of my favorites! All of your halloween cakes make me smile. Maybe I’ll try to make one of them this year! I really want to try out your “White Chocolate Cheesecake and Chocolate Milky Way Cake”. My grandma was the one who inspired me to take up baking as a hobby when she was one day complaining that “no one is going out and being creative with desserts anymore”. From that point on, I searched the internet far and wide to find ridiculous, over the top combinations. 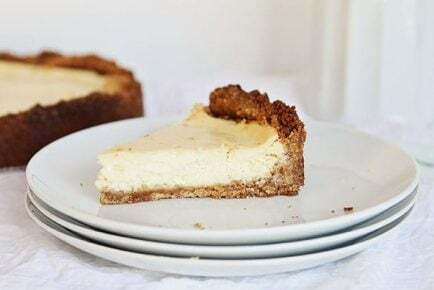 I think this deadly combination of cheesecake, cake, and candy bars would be something right up my grandma’s alley. First, I need to tell you that I absolutely LOVE your blog, even though I am a silent reader! Because you can’t go wrong with chocolate, my favorite is the Double Chocolate Butterfinger Cake!!! I also love all the decoration styles you use…need to perfect mine a little bit! T-shirt are so cute! I really want one! I have made your mint cake before and it was a hit! I think it had a daisy on top. I used your rose design on a tres leches cake. I would LOVE to make your 4th of July flag cake. That was impressive! Your blog is the first I’ve followed. My mom and I live far apart, but talk on the phone and have explored your blog together. Thanks for all the inspiration! I would like to make the black velvet cake. It’s very zen in its simplistic design but quite beautiful. ……and I love red velvet cake! I love your page, unfortunately I am not able to “Like” it since we have a limit and I like more than our 5,000 page limit. I really like the chocolate pumpkin cake with pumpkin whipped icing! Yum!! Thanks for the great page!! !